New models added to BMW 4 Series range | What Car? The BMW 4 Series - our 2014 Coupe of the Year - is now available with three new engine options and four-wheel drive, which includes the range-topping 435d xDrive coupe. The 308bhp 435d is now the quickest and most expensive 4 Series coupe you can buy. It’s fitted with BMW’s Sport automatic gearbox as standard and - thanks to a whopping 465lb ft of torque - has a 0-62mph time of just 4.7 seconds, as well as an official fuel economy figure of 52.3mpg. In M Sport trim, it costs £45,040. Lower down the range, 420i petrol and 430d diesel models have also been added. The 181bhp 420i starts at £29,420 for a rear-wheel-drive car with manual gearbox in SE trim, and tops out at £35,645 for an xDrive M Sport car with the Sport auto ‘box. With the standard eight-speed auto, the 420i does 0-62mph in 7.2 seconds, and returns 47.1mpg in the official test. 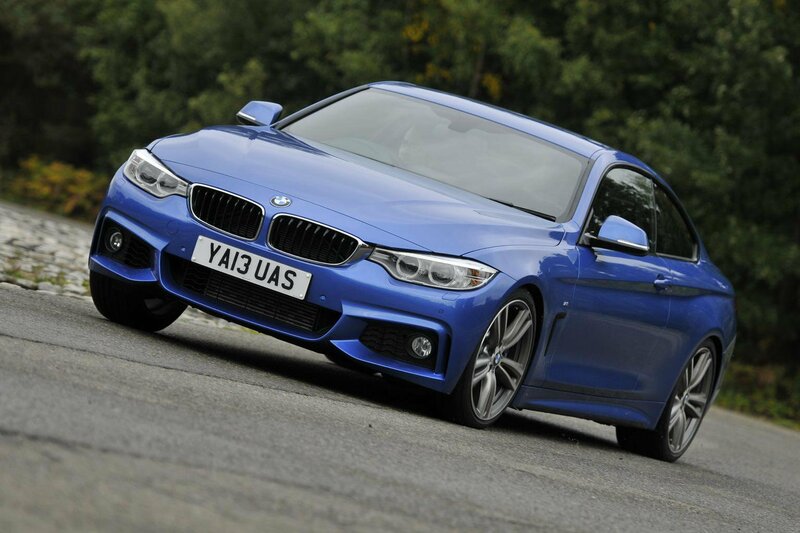 The 255bhp 430d is only available with rear-wheel drive and the Sport automatic transmission. It’s priced from £39,615 for a car in Luxury spec, which does 0-62mph in 5.5 seconds and returns 57.6mpg. The final update is the addition of four-wheel drive as an option on the 420d model. BMW’s xDrive system adds £1500 to the price, so the 420d xDrive starts at £33,295 in SE spec. If you stick with the eight-speed auto, it even stays in the same 19% company car tax band as the real-wheel-drive model.